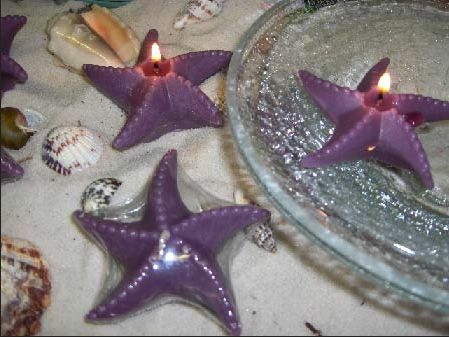 This set of three (3) Unscented Lavender Starfish shaped Floating Candles has been beautifully made. Simple and Elegant. These candles are made with non-lead wicks and highly refined paraffin wax specially blended with beeswax for a longer burning time. Each and every candle is carefully hand poured for the highest quality. 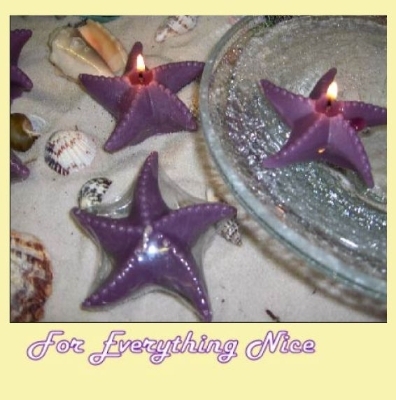 No harmful additvies added in any of these candles.